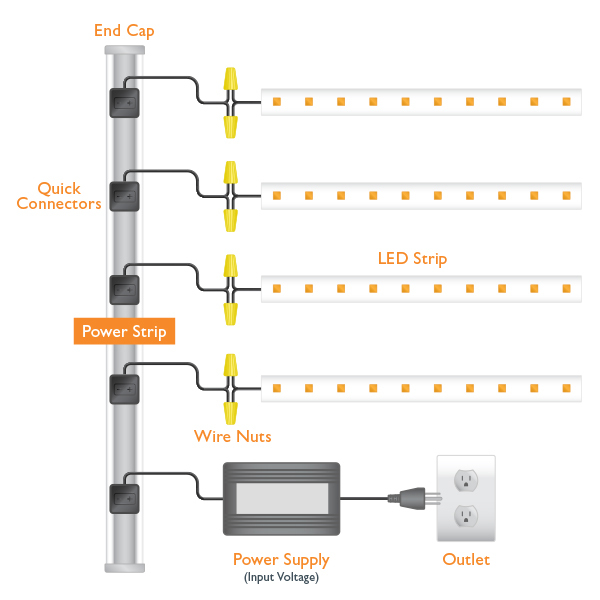 Our shelf lighting wired power strip solution requires the use of our quick connectors available here. One branch is required for the main power supply connection (usually at the bottom), plus one for each lighted shelf. 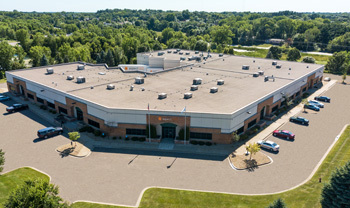 We also recommend the use of our end caps (AL-RS-U-EC), connector locking clips (AL-RS-U-LC), and track-to-track splice connector for horizontal or extra tall installations (AL-RS-U-SPC).